Absolutely stunning Equestrian Estate on 38+ acres! This incredible property includes 2 homes...main residence features 2730sf, 3bd/3bth, huge center island kitchen/dual ovens, lrg great rm with a beautiful brick fireplace & a 3 car garage. The 2nd home is 1440sf dbl wide mobile, perfect for guests/trainers with an oversized 2 car garage. The facilities include an impressive 100'x 200' all steel covered riding arena w/12 oversized stalls w/paddocks, insulated tack room & covered walk-way. There is also anAbsolutely stunning Equestrian Estate on 38+ acres! This incredible property includes 2 homes...main residence features 2730sf, 3bd/3bth, huge center island kitchen/dual ovens, lrg great rm with a beautiful brick fireplace & a 3 car garage. The 2nd home is 1440sf dbl wide mobile, perfect for guests/trainers with an oversized 2 car garage. 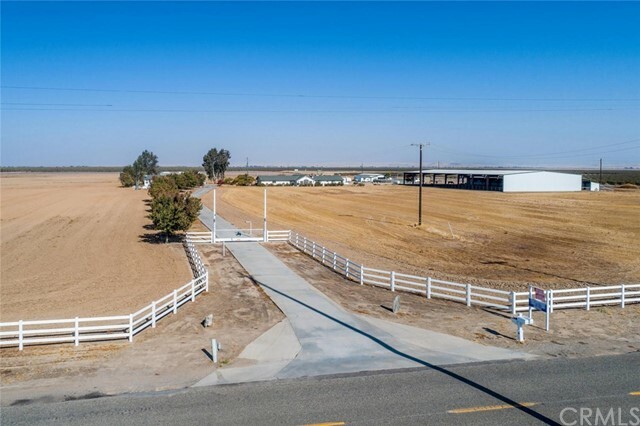 The facilities include an impressive 100'x 200' all steel covered riding arena w/12 oversized stalls w/paddocks, insulated tack room & covered walk-way. There is also an additional 10 stall center aisle barn with hay/grain storage, indoor/outdoor wash/vet racks, a huge air conditioned tack room w/bathrooms, 64' round pen & two 25'x25' hay shelters. Last but not least is a huge 40'x75'' shop with room for 2 RVs, full RV hook-ups with water/power/sewer, along with 2 addtl rooms for storage/crafts. Must see today!